Beautifully updated 4 bedroom & Den. 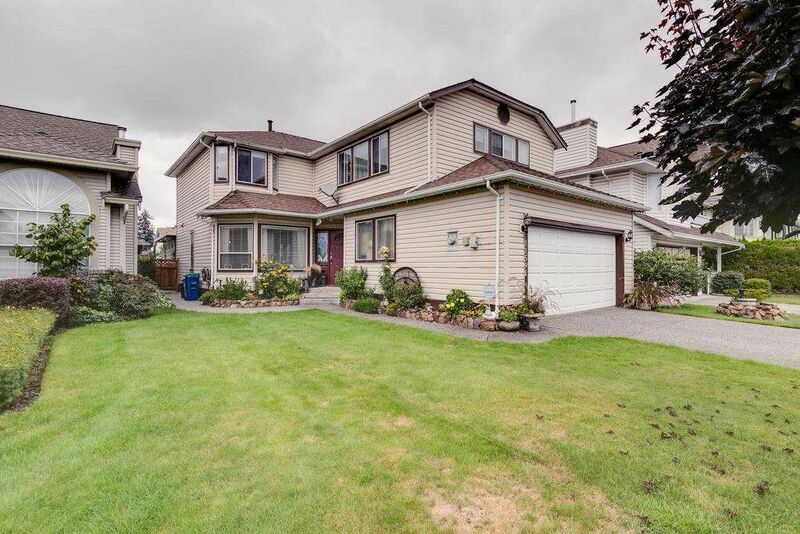 Air conditioned family home with self-watered/self-lit mini "Butchart" back yard, with pond and pergola; large covered sundeck for entertaining, fully equipped media room; kitchen with center island/pot drawers and granite countertops; 4/5ft. crawl space great for storage, new furnace; garage serviced with sink - great for the handyman; home in great location in a cul-de-sac beside Hammond Park. Parking for 4 cars. 2 in 2 out. Schools and shopping close by. Transit 1/2 Blk. Virtual Toured, Laser Measured for your convenience. Open House Monday April 22 11:30 a.m. To 1:30 p.m. New Price Adjustment. Thanks.